Hot on the heels of its new Bottled in Bond selection, Jack Daniel’s is out with another release. This one is going to be far more prized than the Bonded expression (which is now a permanent offering), with just 200 barrels’ worth of this “Heritage Barrel” offering on the market. The Jack Daniel Distillery is celebrating the historic art of barrel-making with a new special edition member of the Jack Daniel’s Single Barrel Collection. Limited to just 200 barrels, Jack Daniel’s Single Barrel “Heritage Barrel” utilizes the unique barrel toasting techniques of the earliest coopers to create a new whiskey rich in flavor yet steeped in tradition. Master Distiller Jeff Arnett and his team of whiskey makers selected from hand-crafted “Heritage barrels” slowly heated to achieve a deeper, richer toasted layer before being charred. The whiskey then matured at a lower entry proof in the uppermost reaches of one of the highest elevated barrelhouses in Lynchburg, TN and was bottled at 100° proof. The result is a flavorful and rich Tennessee whiskey that has warm notes of vanilla and sweet baking spices with a lingering finish of oak. Jack Daniel’s is the only major whiskey company in the world to make its own barrels, crafted from American white oak. Today, the Jack Daniel Cooperage can produce more than 1,500 barrels per day. The unique barrels crafted to mature “Heritage Barrel” take a trip back in time to Jack’s humble beginnings and celebrate the vital maturation process that takes Tennessee whiskey from the distillery, to the bottle. 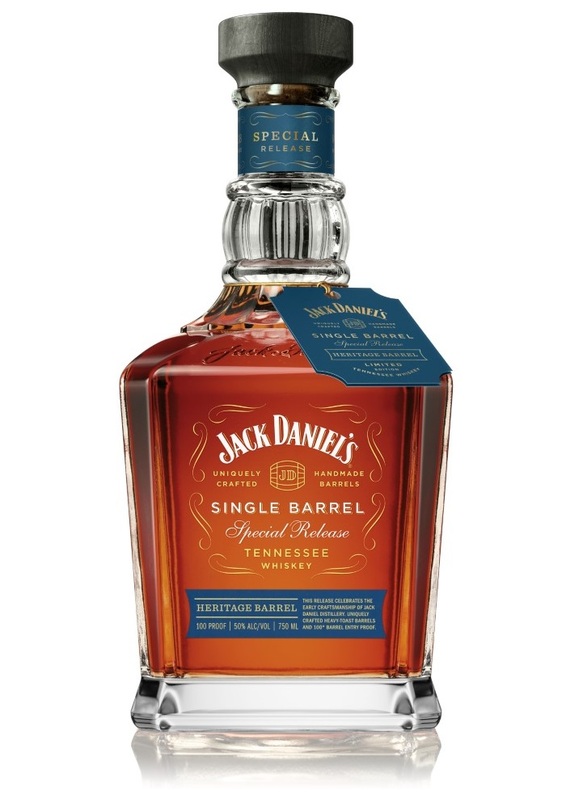 So, the short version: This is a special edition of JD Single Barrel, made with a lower entry proof spirit and drawn from special barrels that are toasted before being charred, two slight but notable twists on the JD recipe (particularly the entry proof switcheroo). Let’s give this Heritage Barrel a spin. Don’t be misled into thinking that “lower entry proof” means you’re getting a weaker whiskey. This is a powerhouse from Jack, a whiskey that really pours it on, starting with a pushy, wood-driven nose that folds in notes of cloves, well-burnt sugar, and vanilla, with racy hints of cinnamon Red Hots lingering in the nostrils. The body largely follows the lead of the nose — some eucalyptus and camphor giving the whiskey bite, but that’s really just an amuse bouche for the burlier, more traditional elements of barrel char, big vanilla, caramel, and even some chocolate notes that come along in short order. As the finish fades, an interesting but distinct note of toasted, sliced bread emerges, lingering on the tongue for some time before finally evaporating. It’s a little strange, but quite enchanting, actually. Fans of the traditionally gentle, corn-driven Old No. 7 will find this a sizable departure from the norm, perhaps one that nods roughly one state to the north, where bolder, heavier spirits tend to be the rule of the day. A- ? This just came in on the Whiskey Advocate top 20 at #3! Imagine a world where everyone had exactly the same opinion about everything!